#stampinup #faithfulinkspirations I love to use Stampin' Up's Designer Series Papers on my cards. The designs are so pretty and it helps me to develop a color scheme. The Delightful Daisy DSP is no exception! The DSP packages list the colors used, but sometimes there's another color sneaking in there. I saw a similar card to mine on Pinterest and the designer used Smoky Slate and it was gorgeous, so I had to CASE it! I started with a 1-1/2" by 5-1/2" strip of the Delightful Daisy DSP. I adhered this to a 1-3/4" by 5-1/2" strip of Daffodil Delight Card Stock. I wrapped a length of Daffodil Delight Double-Stitched Ribbon around this piece before adhering it to a Smoky Slate Card Stock card base. Next, I stamped the daisy from the "Daisy Delight" stamp set twice in Daffodil Delight Ink onto Whisper White Card Stock and punched them out with the Daisy Punch. 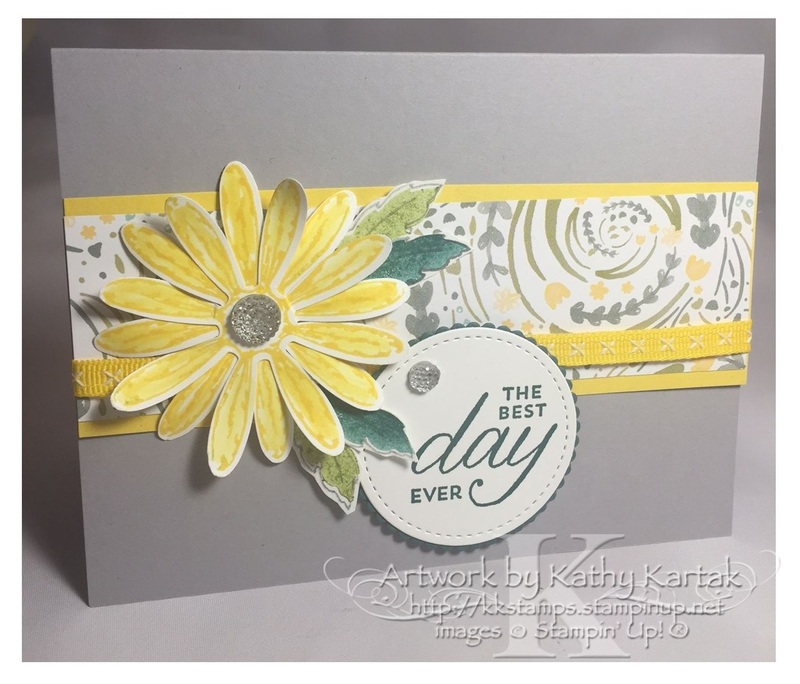 I curled the petals with my bone folder, adhered the two pieces together with a couple of Glue Dots, and then adhered the daisy to the card with a Stampin' Dimensional. I popped a large Clear Faceted Gem onto the center of the daisy. I stamped the leaves' outlines from the "Daisy Delight" stamp set in Smoky Slate Ink onto a Whisper White scrap. Then I filled them in with another stamp from this same set in Old Olive and Tranquil Tide, stamped off once. I fussy cut these with my Paper Snips and tucked them behind the daisy, adhering them with Glue Dots. Finally I stamped a sentiment from the "Birthday Blossoms" stamp set in Tranquil Tide onto a piece of Whisper White Card Stock and cut it out with a Stitched Shapes Framelit. I cut a Tranquil Tide scalloped circle from one of the Layering Circles Framelits. I adhered this element to the card with Stampin' Dimensionals and finished it by adding a medium Clear Faceted Gem. 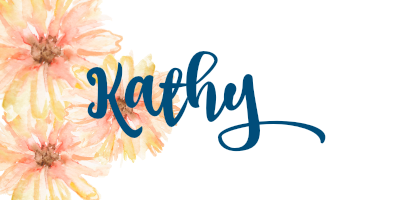 #stampinup #faithfulinkspirations Do you want to know a secret? Joining Stampin' Up is the BEST way to get Stampin' Up products at a discount. Oh. You knew that. Well, do you know what the BEST deal in the Stampin' Up catalog is? The new demonstrator starter kit!! Yep! That's right! When you join Stampin' Up, you get $125 in products of your choice for only $99--without tax, without shipping!! Altogether, that’s an added value of $72! So let's recap. For $99, you get $197 in Stampin' Up products!! You cannot beat that deal! Once you sign up, you can decide whether you want to continue to be a demonstrator--and I'd be your team leader--or you can let your demonstratorship lapse, with no additional obligation. To take advantage of this deal, just click on the "join my team" tab at the top of this blog (where you'll see the Top Ten reasons you should join my team) and then click on the "here" button at the bottom of the post to go on over to my Stampin' Up business site where you can "join the fun!" #stampinup #faithfulinkspirations When I first saw the "Swirly Bird" stamp set and coordinating Swirly Scribbles Thinlits, I didn't get it. The stamps just didn't seem to make sense. And then I began to see all kinds of things that people were doing with the set and thinlits and I fell absolutely in love with them! You can even use one of the Swirly Scribbles Thinlits as the base of a Christmas wreath. Lookie here! 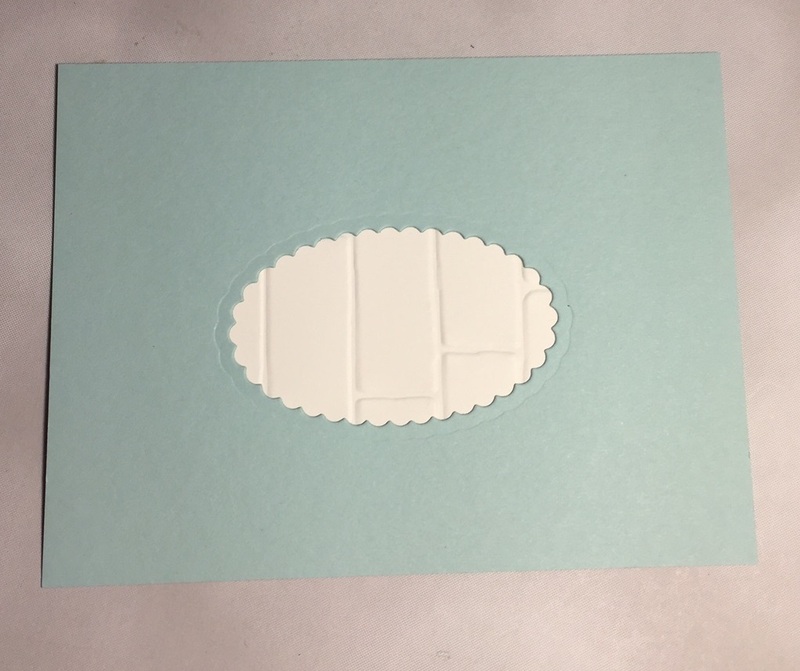 I embossed a 3-3/4" by 5" panel of Whisper White Card Stock with the Brick Wall Embossing folder and adhered it to a 3-7/8" by 5-1/8" Soft Sky Card Stock mat. Next I cut a wreath with one of the Swirly Scribbles Thinlits from Chocolate Chip Card Stock. I looped a length of Soft Sky Classic Weave Ribbon through the wreath and adhered the ends to the back of the Soft Sky mat, before adding it to a Thick Whisper White Card Stock card base. I adhered the wreath to the Whisper White panel with some strategically placed Glue Dots. I tied a length of Whisper White Baker's Twine onto the Soft Sky Ribbon. So cute! Next, I stamped both sizes of the holly leaves and the holly berries outline stamps from the "Holly Berry Happiness" set in Early Espresso on to a Whisper White Scrap. I filled the holly leaves in with Wild Wasabi Ink and the berries with Rose Red Ink, using the solid stamps from the set. I punched these out with the Holly Berry Builder Punch. I adhered these elements to the wreath with Glue Dots. I stamped the sentiment from the "Holly Berry Happiness" set in Wild Wasabi Ink onto a Whisper White scrap and cut it out with a Layering Ovals Framelit. I adhered this to a Soft Sky scalloped oval that I cut with another Framelit from this set. 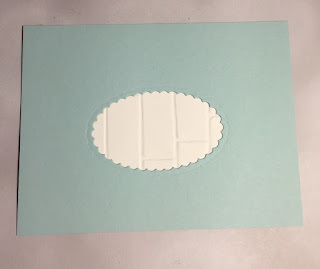 Here's a PROTIP on saving card stock: Before I adhered the Whisper White panel to the Soft Sky mat, I cut the scalloped oval from the center of the mat! I adhered the sentiment to the card with Stampin' Dimensionals. I really love this card--and I hope you do, too, because we'll be making this card at one of my upcoming Christmas card stamp-a-stacks. If you're local to Ellicott City, Maryland, and want to join us, the details are on the tab at the top of the blog. If you'd like a long distance version, let me know and we can make arrangements for that, too! !